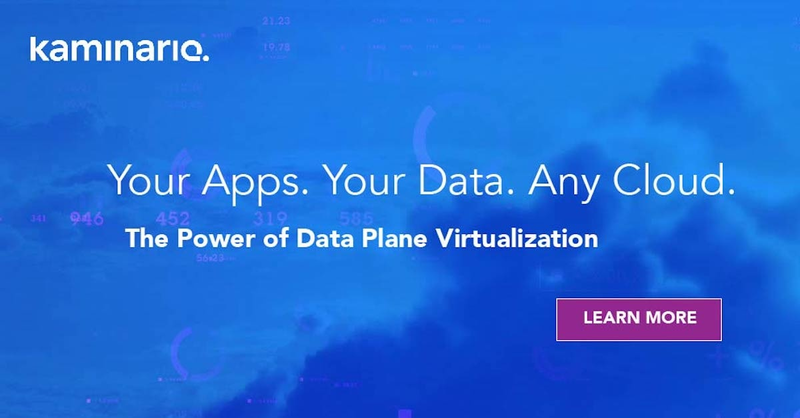 The following is a re-post from the FlashDBA website published here with permission from Mr. FlashDBA himself, Chris Buckel. Amongst some other great material, it references “Groats” – we had to look that one up! 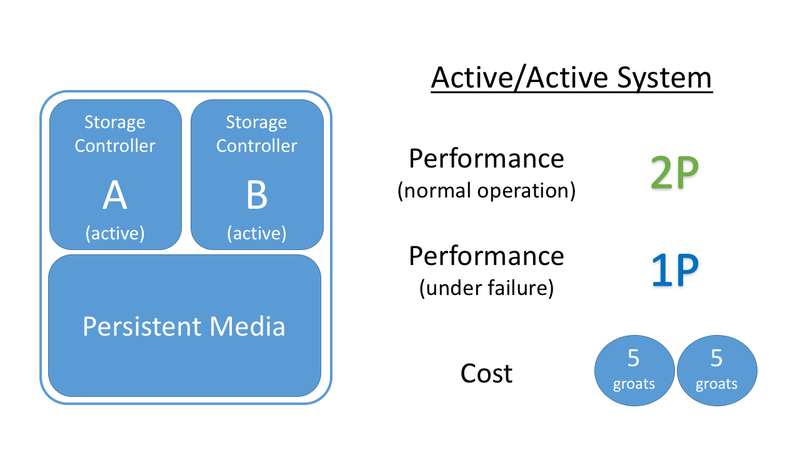 The principles of high availability (HA) are fairly standard, whether you are discussing enterprise storage, databases or any other form of HA. The basic premise is that, to maintain service in the event of unexpected component failures, you need to have at least two of everything. 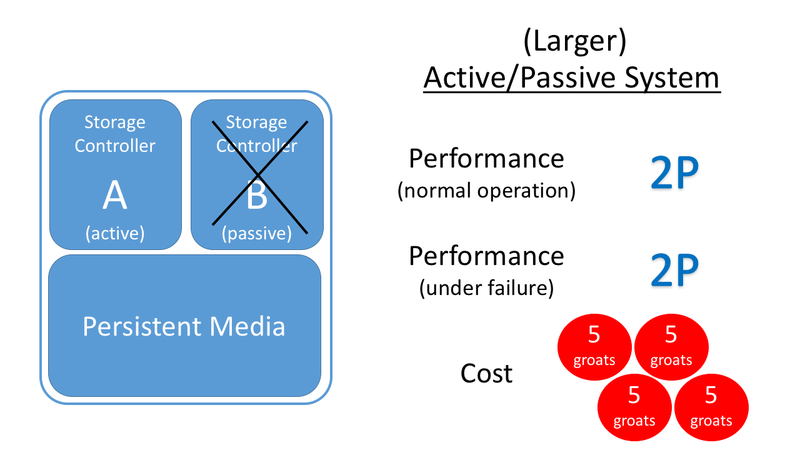 In the case of storage array HA, we are usually talking about the storage controllers which are the interfaces between the outside world and the persistent media on which data resides. Ok so let’s start at the beginning: if you only have one controller then you are running at risk, because a controller failure equals a service outage. No enterprise-class storage array would be built in this manner. So clearly you are going to want a minimum of two controller, which happens to be the most common configuration you’ll find. What about in a failure situation? Well, if controller A fails, you still have controller B functioning, which means you are now down to 1P of performance. 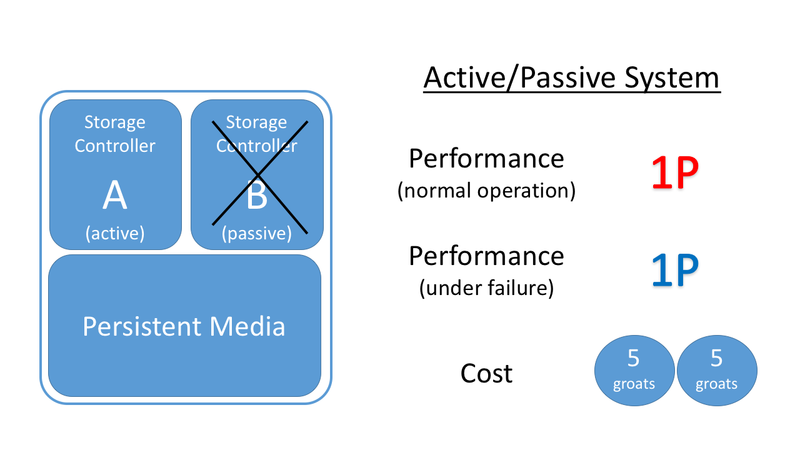 It’s now half the performance you are used to in this architecture, but remember that 1P is still the same performance as the active/passive model. Yes, that’s right… the performance under failure is identical for both designs. The Big Orange – Simply Passable. Lets look at the architecture of another “built-for-flash” array vendor who we won’t name. (Hint 1: Their marketing is awesome. Hint 2: Their flagship product just a recycled dual controller design). This All Flash Array is a dual-controller design where both controllers send and receive I/Os to the hosts. 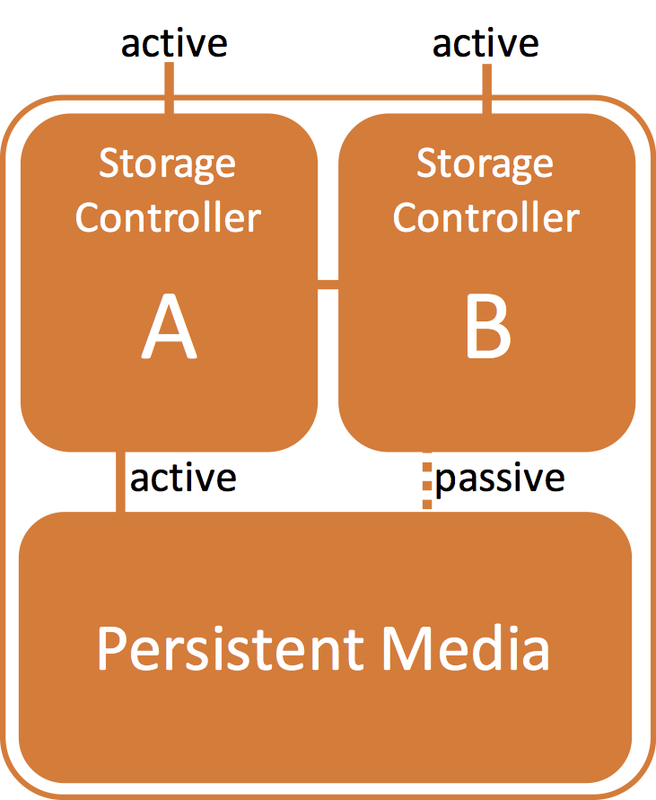 But… only one controller processes I/Os to and from the underlying persistent media (the SSDs). So what should we call this design, active/active or active/passive? According to this IDC white paper , their controllers are sized so that each controller can deliver 100% of the published performance of the array. The paper goes on to explain that under normal operation each controller is loaded to a maximum of 50% on the host side. This way, they can promise that performance under failure will be equal to the performance under normal operations. So which of the above designs does that sound like to you? It sounds like active/passive to me, but of course that’s not going to help Big Orange sell its flash arrays. Unsurprisingly, they describe their product as “active/active” at every opportunity. My advice is simple. Always take your time to really look into each claim and then frame it in your own language. It’s only then that you’ll really start to understand whether something you read about is an innovative piece of design from someone like Big Orange… or more likely just another load of marketing BS. Chris Buckel is Director of Sales Engineering (EMEA and APAC) and a technology evangelist for Kaminario. He brings deep application expertise with experience as a database administrator and architect for SaaS companies as well as extensive experience in the flash storage space. Prior to joining Kaminario, he held various consulting and technical sales positions at Violin Memory, most recently as head of EMEA Solutions Architecture. Previously, he was the Exadata team lead for Oracle in the U.K. and has held positions at companies including CTSpace, Logica, and CMG. As one of only a few hundred Oracle Certified Masters worldwide, Chris enjoys being involved with the Oracle database community and maintains a popular blog http://flashdba.com which aims to enlighten database users to the benefits of flash storage.